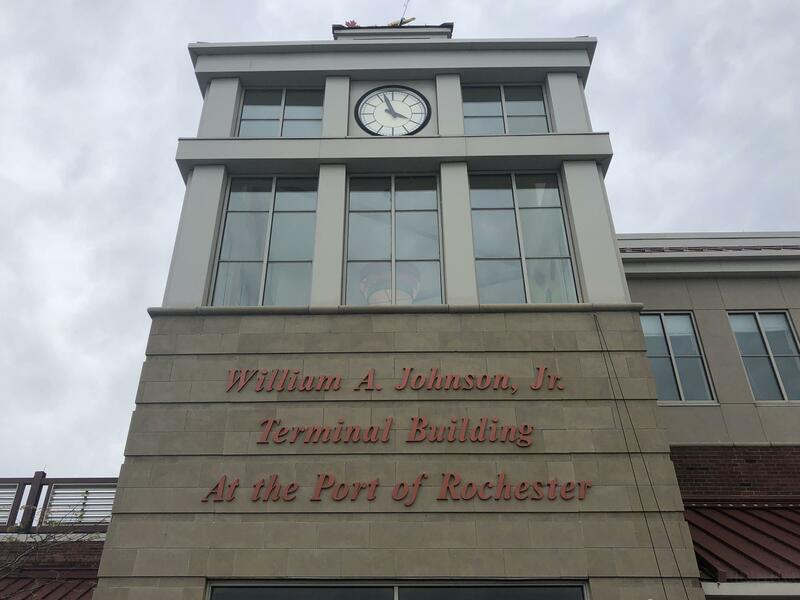 The City has renamed the terminal at the Port of Rochester after Mayor Bill Johnson. The city has renamed the Port of Rochester terminal after former Mayor Bill Johnson. Mayor Lovely Warren says Johnson’s determination and ideas helped spur innovative development in Charlotte and revitalize the area. “It will be because of his vision that we will continue to invest in this part of northwest Rochester with the support of the community." The dedication on Friday did draw some criticism. Johnson was a champion of the fast ferry, a service that promised speedy travel between Rochester and Toronto across Lake Ontario. After the ferry was shut down, it was criticized as a failed experiment that cost taxpayers millions of dollars. In a dedication ceremony, Warren called those critics "short-sighted." "Throughout my tenure, any time you mention the name Mayor Johnson, many talk about the fast ferry and it not being here any longer. But today we’re making sure that everyone understands that this is about what was right about the vision of the fast ferry." Johnson himself said he did not see the ferry, or the port that was developed around it, as a failure.